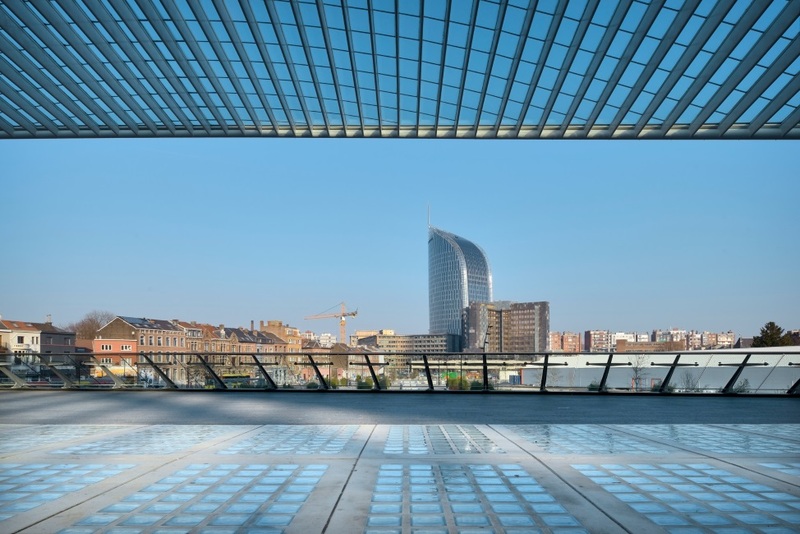 The Tour Paradis is a new administrative center especially designed for the Liège regional Federal Public Finance services, to centralize jobs of more than 1.100 people in an optimal way. A two-building project comprising a 136-m office tower and a three-storey low-rise podium where the multi-function areas are located. The flexible design was consider for a single occupant, however it could possibly accommodate a series of smaller occupants as well. 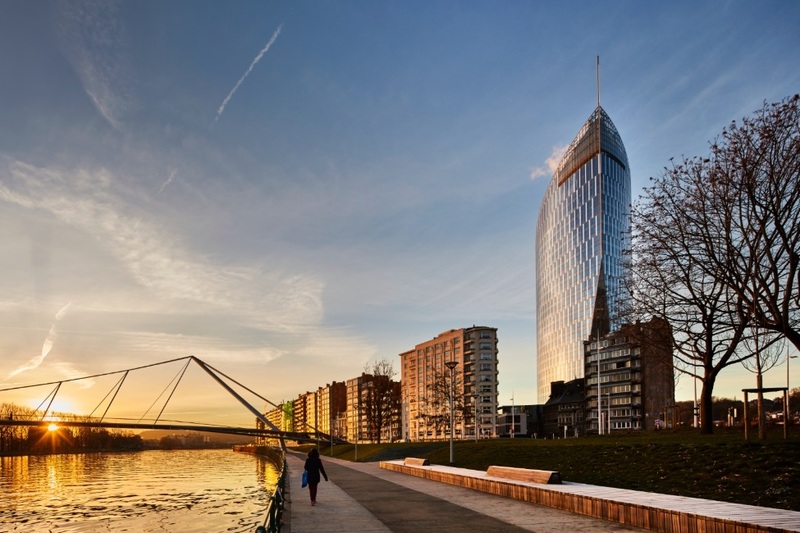 The building and its plaza were designed also as a gateway to a new district Paradis Express to be built in the coming years and which will create a pedestrian urban link between the river and the new railway station designed by Calatrava. 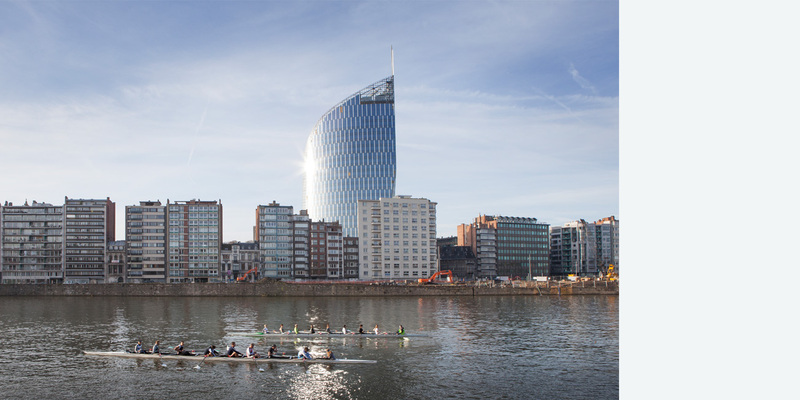 The expressive structure of the tower creates a landmark for the city and good counterfoil for the equally original construction of the station on the other side of the esplanade. 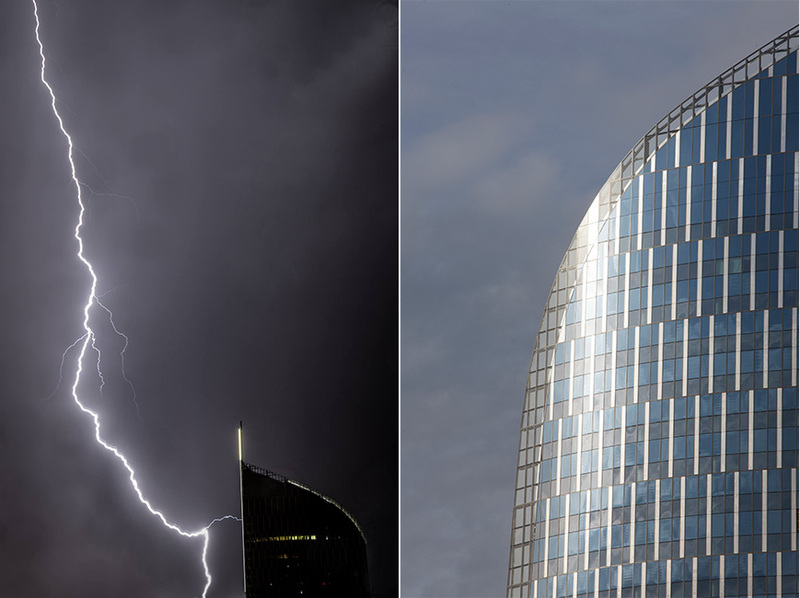 Technically, the Paradis tower is exceptionally innovative and very advanced concerning sustainability – it is comprised of glassed façade incorporating photovoltaic cells, LED lighting system as well as thin vertical metal elements adding rhythm to the vertical urban gesture. Rainwater is being collected and used for the sanitary or maintenance of the exterior parking areas. The cooling equipment provides cooling production with a high performing ratio of 7.9 when fully running. 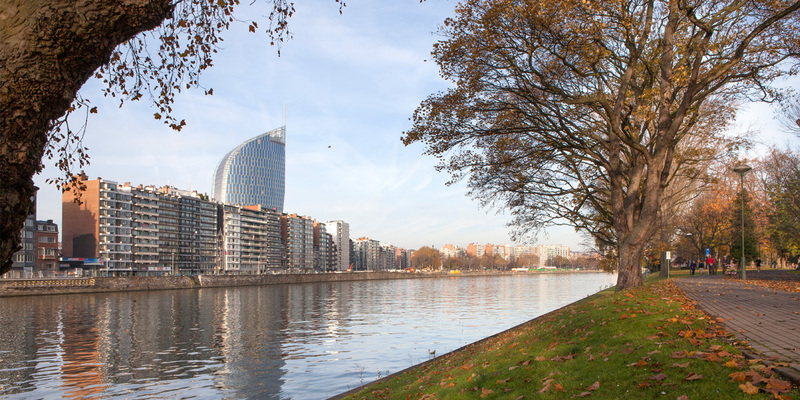 As a result, Paradis tower has received BREEAM “Excellent” certification. 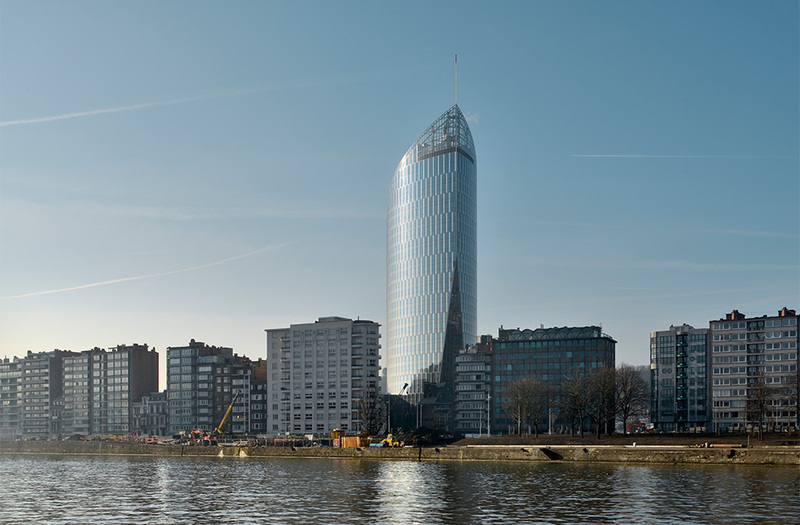 European Property Awards 2016: finalist in category "Commerical High-rise Architecture Belgium"
German Design Awards 2018: winner in category "Excellent Communications Design Architecture"